Active learning classrooms (ALCs) are interactive, interdisciplinary spaces where information and technology are combined to facilitate scholarship. Faculty have a unique opportunity to explore how space and technology can promote student learning. Alcs support case-based learning, guided inquiry, peer learning and just-in-time learning, all of which are increasingly the basis for how classes are taught. Explore the connections between data and maps by creating your own maps. 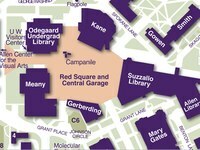 Software is available in three labs on-campus. 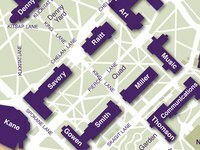 GIS Lab assistants are available in Suzzallo Library to assist with locating geospatial data, integrating data into GIS projects, and basic ArcGIS functionality. Check lab hours for details on when assistants are available. 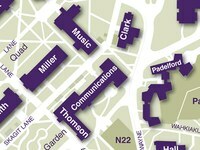 An interdisciplinary learning destination feature a maker space, music and video labs and a gaming area in Maple Hall. Reserve this space when collaborating on your next digital scholarship project. This space is perfect for classroom, meetings, roundtable discussions, small-scale working conferences. Equipment available includes HDMI cables (available by front desk request), Mac desktop, PC (Dell) desktop, multiline phone, printer, TV, UW Wi-Fi, white boards (10), laptop (available by advance request), moveable furniture. Contact schadmin@uw.edu to reserve this space. The CoMotion MakerSpace provides access to equipment, training, and space to turn ideas into reality, and a social, collaborative environment for creators to connect with each other and work in teams. 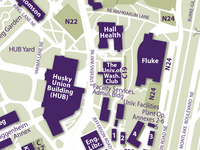 The mission of CoMotion is to be the collaborative hub for expanding the societal impact of the UW community by delivering the tools and connections that UW researchers and students need to accelerate the impact of their innovations. Read through our tips for getting started on your digital scholarship project and browse our list of potential tools to help you complete your project. 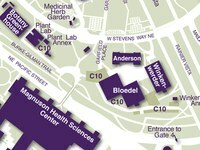 Create maps in the GIS Lab. 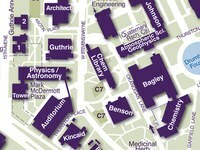 The GIS Lab is provided by the University Libraries to support the use of GIS for coursework and research by UW students, faculty, and staff. 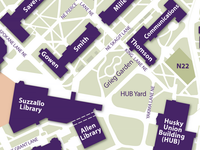 Groups are welcome to work together on GIS assignments in this space. GIS Lab staff are available to assist lab users with locating geospatial data, integrating data into GIS projects, and basic ArcGIS functionality. Collaborate on your next digital scholarship project using media:scape workstations, audiovisual equipment, and lab study rooms. The Health Sciences Library and the HSL Commons Computer Lab supports the educational missions of the Schools of Dentistry, Medicine, Nursing, Pharmacy, Public Health, and Social Work. Check here to find out more about accessing their computer classrooms and equipment. Access mathematics and statistics computing software including Mathematica, MATHLAB, and SAGE, LaTeX, and publishing on our public computer. Get research help and access to materials in Applied Mathematics, Mathematics, and Statistics. Create videos, listen to and edit music, digitize and preserve vintage media at the mediArcade! The mediArcade, recently opened by Suzzallo and Allen Libraries’ Media Center and is a destination for media creation and preservation. 6 iMacs with Final Cut Pro, Logic Pro, Compressor, Audacity, Handbrake, MS Office, MPEG Player, Quicktime Pro, Piezo, and more. 3 - 65" Samsung TVs with region-free Blu-Ray, DVD, and VHS players. Supports 8 viewers per screen. Sony WiiU, Playstations 2 and 4, and X-Box 360 game consoles. Metadata helps you describe your content in a way that helps people find it. Find metadata guidelines for people who want to mount digital collections using CONTENTdm software, a display system for digital collections used at the Libraries. Compose music using Finale or Sibelius and digitize LPs at the Music Library. A complete list of Music Library computer software/equipment can be found here; highlights include USB LP turntable, scanner, Oxygen 8 keyboard (for composition), and Finale (music composition software). Getting started on your digital scholarship project? The Simpson Center has compiled a list of suggested tools that may help. Explore our rare and archival materials covering a broad range of topics, formats, and periods. Special Collections also offers Reproduction Services. Get help with data management planning and more! The Studio is a public space for research collaboration, with open work areas, casual seating and small quiet meeting rooms. In addition to Data Scientist Hours, UW Librarian Hours are also held. During each two-hour slot, librarians will be on hand to provide support and guidance in their relative areas of expertise. This includes support for finding and accessing data, data management planning, data organization, reuse of data, data sharing and storage, data citation, instruction, literature review, publications, citation management tools, physics / astronomy / mathematics research, and more.